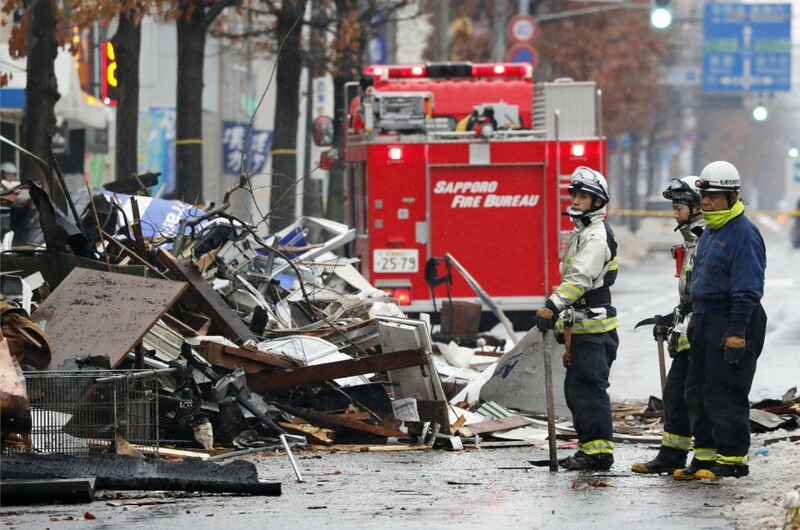 Forty-two people were injured when wooden buildings housing a Japanese-style pub, a real estate office and a clinic collapsed following a suspected gas explosion Sunday night in Sapporo, northern Japan, local authorities said. 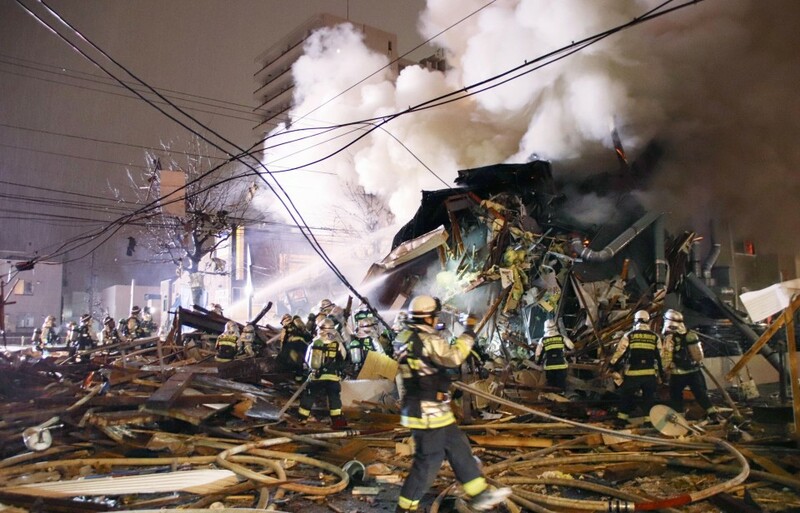 The blast, which damaged buildings as far as 100 meters away, occurred at around 8:30 p.m. Sunday in Toyohira Ward, causing a fire that was finally extinguished at 2:10 a.m. Police suspect gas built up inside the real estate office after an employee emptied more than 100 deodorizer spray cans for disposal. Nineteen males and 23 females, aged from 1 to their 60s, were injured. Numerous customers who were dining on the pub's second floor said they smelled gas at the time of the explosion. 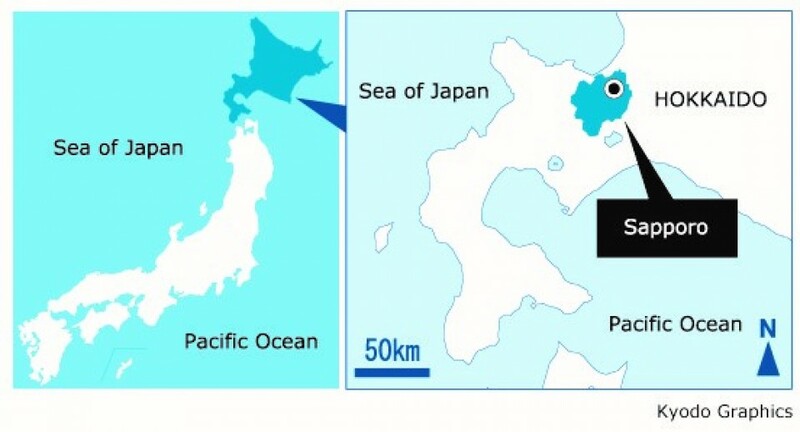 According to the Hokkaido prefectural police, the real estate office was completely destroyed and a 33-year-old male employee sustained serious injuries. The employee was initially quoted as telling investigators that the explosion took place after he had punctured the spray cans and turned on a water heater. But investigative sources said he may not have punctured the spray cans and police are examining them. The employee has said he removed gas from the spray cans in order to discard them, the sources said. According a subsidiary of Apaman Co., which runs the office, employees use deodorizers in properties. Failure to dispose of spray cans properly can result in fires and explosions. The city of Sapporo has banned people from puncturing spray cans prior to disposal since 2017, after a fatal accident involving spray cans in the city two years earlier. 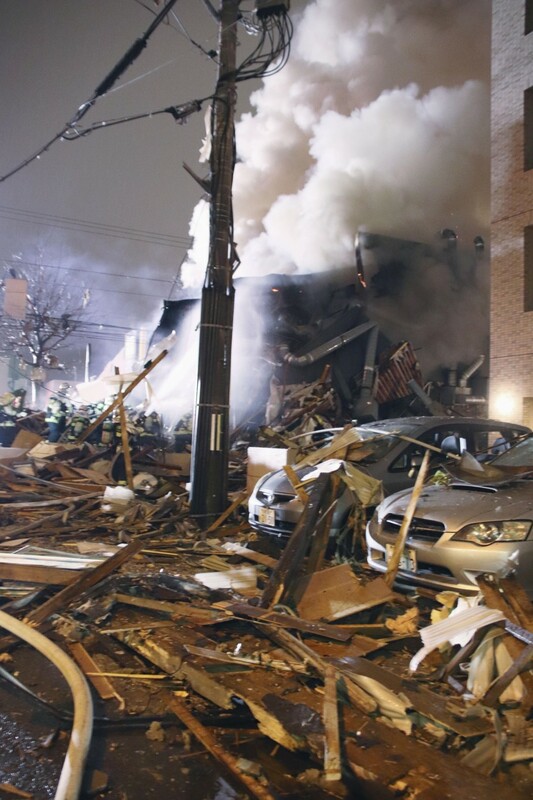 In the latest explosion, a total of 28 buildings and 24 cars were damaged, a local fire department said. Many people who felt the blast said they thought it was an earthquake. Seven officials sent from the Fire and Disaster Management Agency arrived at the site in the late afternoon to investigate the cause. A local fire department said the three tenants in the buildings were poorly prepared for possible fires as it had found no equipment for evacuations or alarms during an on-site inspection in October. Administrative guidance had been repeatedly issued since two years ago, but no improvements had been made by the tenants, it said. A gas safety official who visited the blast site said five tanks of propane gas weighing 50 kilograms each were installed outside the pub, while two 20-kg tanks were located outside the real estate office. There was no significant damage to any of the tanks, according to the official. 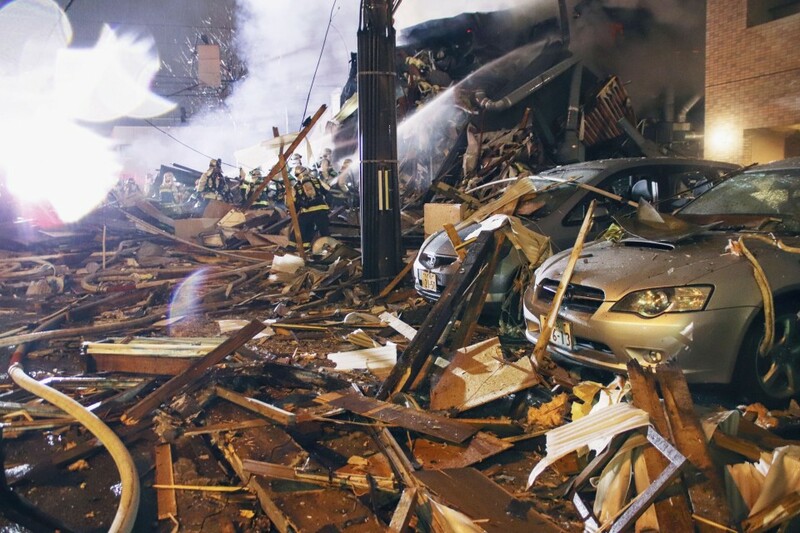 "The ceiling fell, then the entire second floor collapsed and we were all trapped. We managed to escape after everyone kicked through the wall," a person who was in the pub at the time and later treated at a hospital said, according to a relative. The ground floor of the "izakaya" pub had a kitchen and counter seats while the second floor had private dining rooms, according to a neighbor who had visited the establishment several times. "Suddenly I heard the boom, my body was lifted up and thrown to the floor," said a 28-year-old man who was dining with a friend on the second level of the izakaya. "After the explosion, the power went out and fire spread instantly, so I jumped out of an open window to the street." "If the (second floor) hadn't collapsed, everyone might have been trapped there and burned to death," said a 49-year-old man who was dining with his family at the izakaya. Fire spread within five minutes of the blast, he recalled. A man who works nearby said, "Orange flames leaped up and the izakaya was blown away." "Immediately after the sound of the explosion, windows were broken and bits of glass hit me. I got cuts on my face and hands," a 68-year-old woman who was dining at a nearby restaurant said after receiving treatment at a hospital.